There are so many people that practice, use and teach social media to others on a daily basis. If you do a basic search, whether online or in a book store, you will see that there are thousands of books that can help you learn more about this topic. Because there are so many, providing you with so much information, I have highlighted a few of them here. Check them out and see what you will learn! 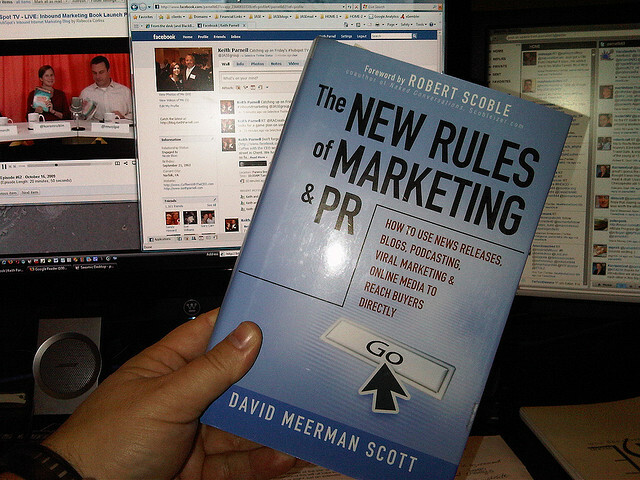 In this book, you will learn the basic and effective marketing and PR tips used in today’s businesses. It teaches you how to best reach your audience all through the Internet. By speaking directly to your audience, you can ultimately meet your goals. It also provides real case studies and examples, which helps show the effectiveness of the tips demonstrated throughout the book. Here you will learn about all the social media platforms important in reaching your target audience. There are tips and tricks on making yours stand out from the crowd and finding your voice. Once you have this voice, you will be established in the market and customers will know who you are. This is how you establish credibility and eventually build that loyal customer base! This book relates the online world to the real world, and shows you the many similarities. Being likable is the key to opening up yourself to new possibilities. Using powerful word-of-mouth marketing, you can take your business to the next level. In real life, if you like a restaurant or business, you usually spread the word about it to your friends. In the online world, it is the same! If you want to learn about the basics of social media without the hassle, this is the book for you. There is a lot to work with in social media, so knowing the basics can help you be more productive. Step-by-step guides help you maximize your time. With proven strategies for success, you can follow along to use it to your advantage and make the most of your marketing. Use some or all of these books to help market yourself and your business!